Stony Brook University and Brookhaven National Laboratory. provided a forum to discuss opportunities to engage in QIS research. Please click the links in the agenda below for recordings of the workshop sessions. Click here for a downloadable event flyer. For questions about the event, please email mandy.frantz@stonybrook.edu. Penguins are noisy, as any visitor to an aquarium knows. Penguins may be noisy in others ways too, according to a new study published in Nature Communications. Scientists have long used Adélie penguin populations to monitor the health of the Southern Ocean and to understand how major factors such as fishing and climate change impact the oceans and the animals that rely on them. Now an extensive analysis of all known data on Adélie penguin populations over the last 35 years has found that only a small fraction of year-to-year changes in Adélie penguin populations can be attributed to measurable factors such as changes in sea ice. A new study reveals that it is difficult for scientists to understand fluctuations of Adélie penguin populations in Antarctica from year-to-year. Instead, most of the short term fluctuations in the number of penguins breeding has no known cause; such ‘noise’ in the system is likely due to a host of marine and terrestrial factors that have not, or cannot, be measured at the majority of sites where penguins breed. 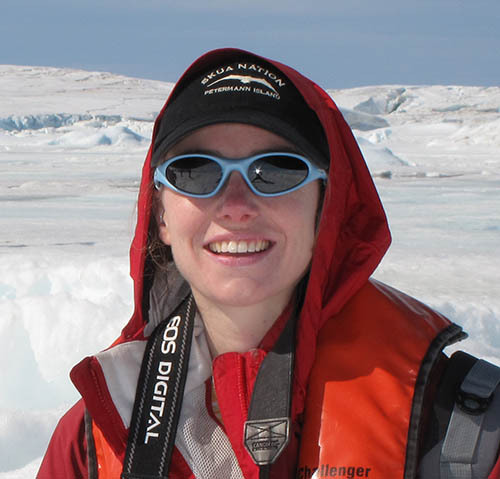 “In many ways, our study shows that watching Adélie penguin abundance may be like watching the stock market—short term fluctuations may be exceptionally hard to predict and may not signal any change in the fundamental health of the system,” explains senior author Heather Lynch, Associate Professor of Ecology & Evolution at Stony Brook University. This finding, detailed in the paper “Pan-Antarctic analysis aggregating spatial elements of Adélie penguin abundance reveals robust dynamics despite stochastic noise,” is important because it means that tracking abundance at individual colonies, one of the cornerstones of monitoring the health of the Antarctic ecosystem, may not provide a reliable signal on short time scales. “This doesn’t mean that monitoring isn’t important, only that we may have to adopt an even more conservative strategy for conserving marine resources. In the face of so much uncertainty, we may not detect a real decline until it’s already too late,” Dr. Lynch explained. Adélie penguins are one of four species of penguins with significant breeding populations in the Antarctic. Adélie penguins are the most well studied of all penguin species and, being distributed around the entire coastline of the Antarctic continent, are often considered the “canaries in the coal mine” for anthropogenic threats like fishing and climate change. In this study, the authors analyzed data from all 267 Adélie penguin populations in Antarctica stretching back to 1979, using data collated from the scientific literature under the auspices of a NASA-funded tool called the Mapping Application for Penguin Populations and Predicted Dynamics (MAPPPD). 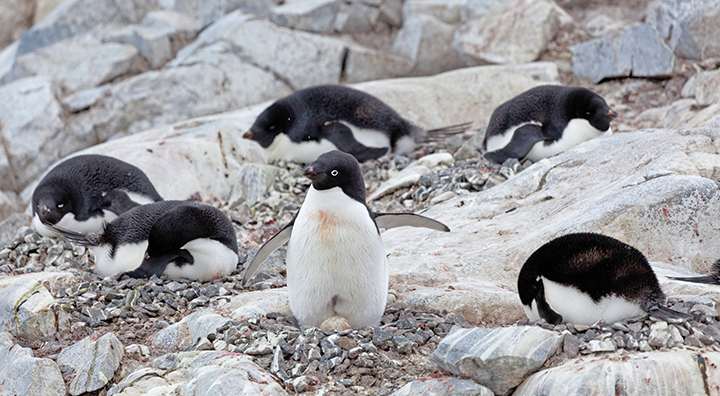 They used a statistical technique known as hierarchical Bayesian modelling to accommodate the fact that most Adélie penguin breeding locations are surveyed only rarely. Finding a statistically-rigorous way to ‘fill in’ missing data was key to the effort, since it allowed the research team to look at the population dynamics of penguins at larger spatial scales than has been possible in the past. Dr. Lynch emphasized that not only did the research uncover more details about the increase in Adélie penguin populations over the last three decades, but it suggests that monitoring more breeding colonies sporadically, rather than fewer sites consistently, may provide more timely and more reliable information for policymakers, despite short term fluctuations common in Adélie colonies. The study also illustrates a new method of tracking Adélie penguin populations throughout the entire continent rather than at selected study sites where the majority of the data are actually collected. They hope to study other penguin species in Antarctica using the same method. “The findings, overall, provide clear guidance on how to extract the most information from our monitoring efforts, and highlight the benefits of working across disciplines for effective conservation,” added co-author Dr. Jenouvrier at WHOI. Co-investigators of the research included scientists from the Woods Hole Oceanographic Institution in Woods Hole, Ma. ; the National Center for Atmospheric Research in Boulder, Co.; the Department of Natural Resource and Environmental Science in Reno, Nv. ; the University of South Florida in St. Petersburg, Fla.; and the Centre d’Edudes Biologiques de Chize in France. This work was funded by the National Aeronautics and Space Administration (NASA) Ecosystem Forecasting program and by the National Science Foundation’s Office of Polar Programs. A team of researchers in the Department of Computer Science was recently awarded $3.5M by the Office of Naval Research to support “debloating,” a process that could help guard against security breaches that threaten the privacy and integrity of personal data. Debloating is the process of removing and streamlining code, thus enhancing software performance as well as security. 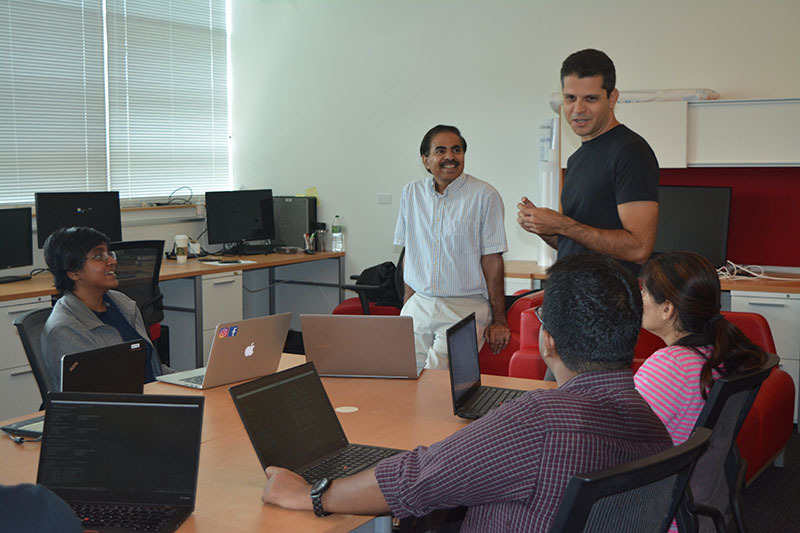 As part of the researchers’ debloating project, titled “Multi-layer Software Transformation for Attack Surface Reduction and Shielding,” Professors R. Sekar and Michalis Polychronakis will leverage recent advances they have made in binary code analysis and transformation to remove code bloat and tighten security of today’s software. The funding is particularly timely in light of recent news that one of the country’s largest credit reporting agencies, Equifax of Atlanta, was the victim of hacking on a scale that has not been seen in years, exposing Social Security numbers and driver’s license numbers of 143 million U.S. citizens. So why has cybersecurity become such a problem? One issue arises from the latest software development practices, which can turn out new programs and products for advanced speed and convenience in record time. Unfortunately, the increased coding, or “code bloat,” creates a larger attack surface with a proliferation of security vulnerabilities, just waiting for hackers. These recent advances in software development often result in the need for constant system updates or bug fixes. But failure to implement these fixes can result in breaches — some of which, like the Equifax hack, can result in the mass exposure of private data. This is because the type data leaked are much more important than email account login info or targeted phishing results, Radu said. As a culture dependent on technology and thus more coding across our digital infrastructure, we have left ourselves vulnerable because we value growth in the market over stronger security, he explained. New protection mechanisms will help shield software against exploitation while significantly advancing control-flow containment, code isolation and diversification, Sekar added. This funding comes to Stony Brook through an Office of Naval Research Broad Agency Announcement that seeks “innovative scientific and technological solutions to address U.S. Navy and Marine Corps” challenges. The Department of Computer Science, part of CEAS, has received nearly $7 million in research awards this summer. According to Samir Das, the department chair, cybersecurity research conducted through Stony Brook’s National Security Institute represents more than 60 percent of the summer research funding.“Unfortunately, this is not the last breach to expect,” Sion said. R. Sekar is a graduate of the Department of Computer Science at Stony Brook, earning his PhD in 1991. His research focus is on software and systems security, and on solving practical problems and building real systems including software vulnerability mitigation, malware, intrusion detection, and management of distributed systems. 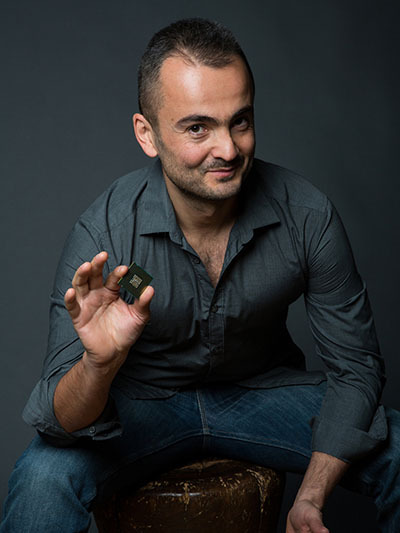 Michalis Polychronakis joined the Department of Computer Science as an assistant professor in 2015 and earned his PhD in computer science from the University of Crete, Greece. Before joining Stony Brook, he was an associate research scientist at Columbia University. His research focuses on network and system security, network monitoring and measurement, and online privacy. Please See our Current Limited Competitions Now! See our Current Limited Competitions available now! Please contact us with any questions. The Office of Proposal Development (OPD) is committed to providing Stony Brook University’s research community with high level support to identify extramural funding opportunities, build networks, and foster collaborations for the development of large, complex and innovative proposals.